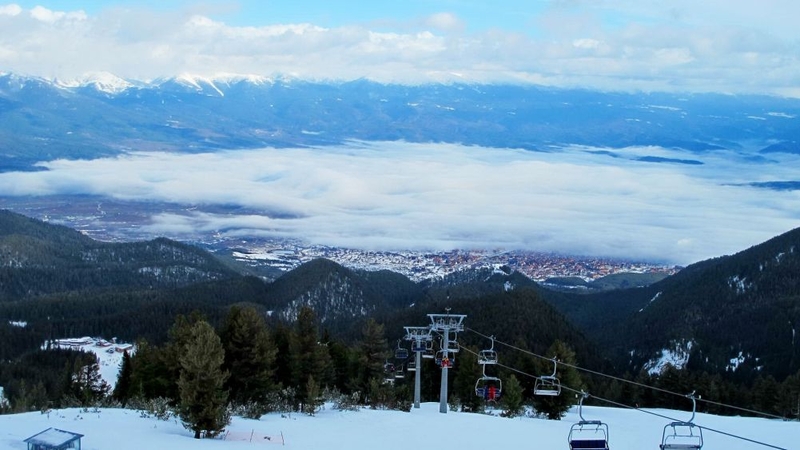 You will leave the magic of Bansko knowing that you’ll return, and you will dance and sing again. Just like any great resort, Bansko offers an impressive variety of hotels (some of which are exceedingly luxurious), guesthouses and rooms for rent. For a larger group, booking a guesthouse would be most suitable. They are cheaper and offer various additional services and local experiences. For example, you can enjoy a traditional breakfast that is prepared especially for you at your convenience. The guesthouse usually has its own tavern which, if you wish, can be privately hired, and the local hosts may prepare national dishes of your choice so that you can sample and enjoy the local cuisine without having to worry about cooking or booking tables in restaurants. After all, the evenings in Bansko are the time for culinary research and fun. 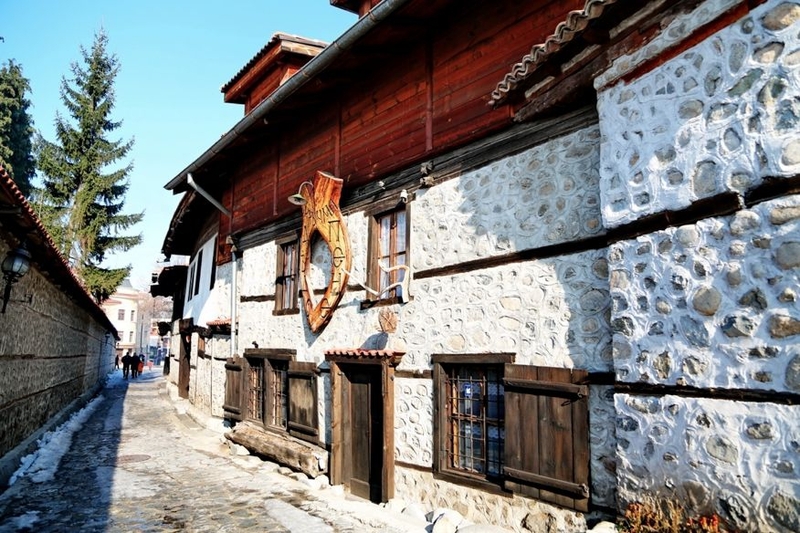 While walking through the town you cannot miss Pirin Street. You will recognise it immediately because it is busy, filled with people and there are small souvenir shops on both sides displaying authentic wares made my local craftsmen. Souvenirs made of leather, wood, metal or wool are very typical. Do not be afraid to turn away from the chaos of Pirin Street for a quiet view of the many charming narrow back streets. Surrounded by high stone fences, the restored ancient houses sit with overhanging roofs and beautiful chimneys. 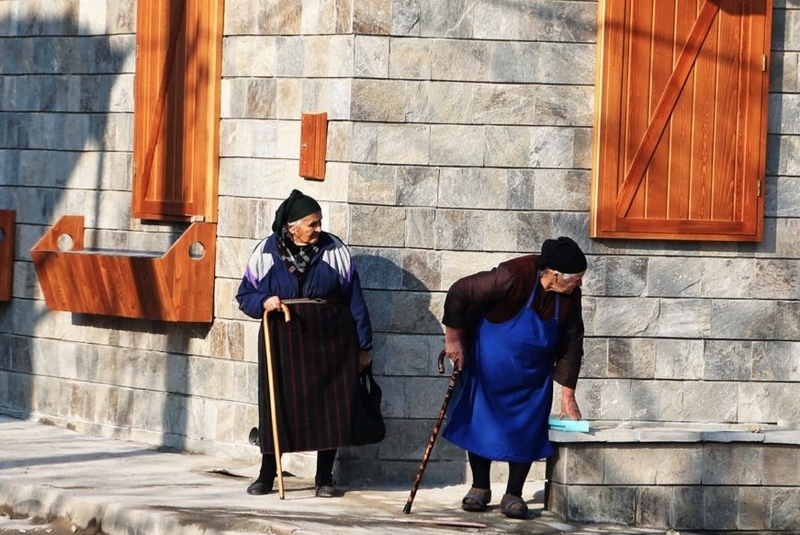 It is very likely that you would meet elderly women dressed in the traditional Bulgarian aprons, colourful wool socks and head-cloths, who are talking rather heatedly in a language that doesn't sound like Bulgarian at all. This is because here in Bansko even their language is authentic; a local dialect from Bansko, which is not understandable even for other native Bulgarians who come from further afield. After a wonderful winter’s day, and your tummy is rumbling there is no question of where you should go to enjoy an evening meal and a lively atmosphere – a tavern. 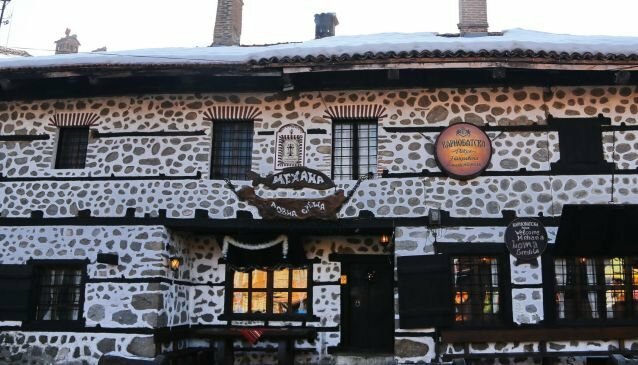 If you go to Bansko and do not visit one of the many taverns, you’ll have wasted a visit. There are plenty to choose from and they are located in the downtown streets. There are some that have been proved popular throughout the years and it is best to ask about them at your hotel where they can make a reservation for you. 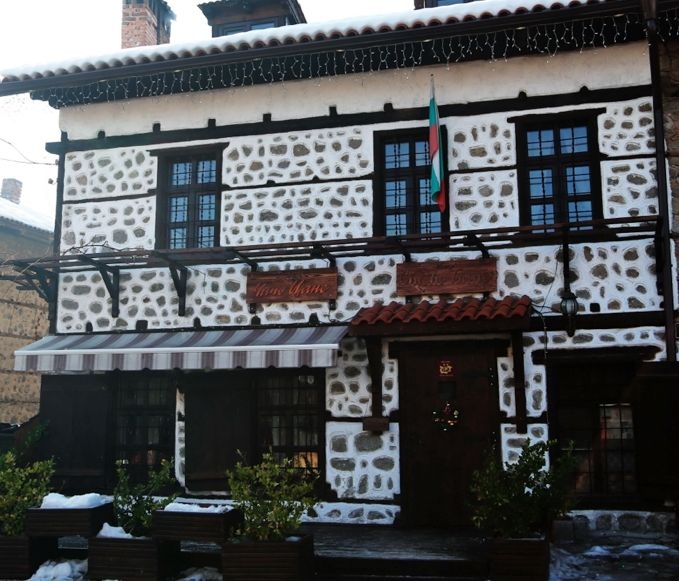 The taverns are very interesting restaurants decorated in the old Bulgarian style, which is typical for the region. The environment is very relaxed and no special dress code exists. The most important thing is for you to feel comfortable. There are four things you can do in a tavern; eat, have fun, sing and dance – it's all down to you. No one can explain how it happens so that all of a sudden you start singing along with the band and moving your body in the rhythm of the music, while eating some delicious local cuisine. Every good tavern offers high quality food, so don’t be afraid to trust the typical specialties of Bansko. You’ll often see the owner wandering around in chef white’s as he often works in the kitchen! Don't be surprised if you are unable to figure out the names of some of the dishes - they are simply impossible to translate. The menus are translated into English and they explain what the ingredients of the dish are, and if you are lucky you may even come across a waiter who speaks English too. It is not recommended to choose beer when asked what you are drinking. And if you ask for champagne they will look at you as if you are from space. It's because wine is what you drink here – white or red, as well as rakia (a traditional alcoholic drink which is more suited for the end of the dinner). You should order the appetisers (equivalent to anti-pasta) with your drinks. These are homemade appetisers made of meat or vegetables, but whatever the ingredients, they are extremely delicious. And also, don’t miss the desserts. Desserts here are unique, especially the famous Turkish delight banitsa (Turkish delight pie). While you are on this tasty journey through the traditional cuisine, a Bulgarian folklore band will play live and old songs about brave rebels and undying love. Feel free to get up and join the people who are already dancing a folklore dance called ‘horo’ and move happily to the rhythm of the music. When you are about to leave, happy and full, you will breathe in the crystal clear mountain air smelling like fresh smoke from the burnt wood and pine needles. If you still have the strength, you could visit one of the nightclubs or piano bars and party into the early hours. With eyes full of emotion, and a precious series of unforgettable memories with loved ones and complete strangers, you will leave the magic of Bansko knowing that you’ll return, and you will dance and sing again.